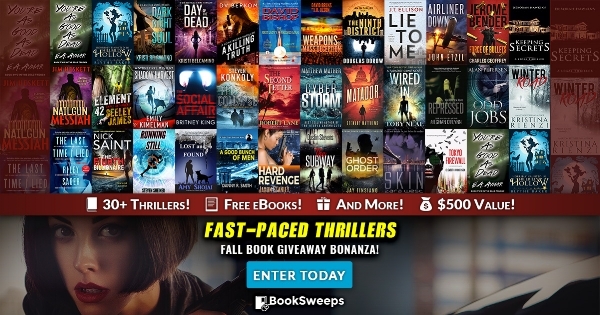 Win LIE TO ME And 30+ Fast-Paced Thrillers! Look at this giveaway from BookSweeps! Not only can you enter to win a copy of LIE TO ME, you’ll also be eligible to win 30+ thrillers and an e-reader. It doesn’t get much better than this!